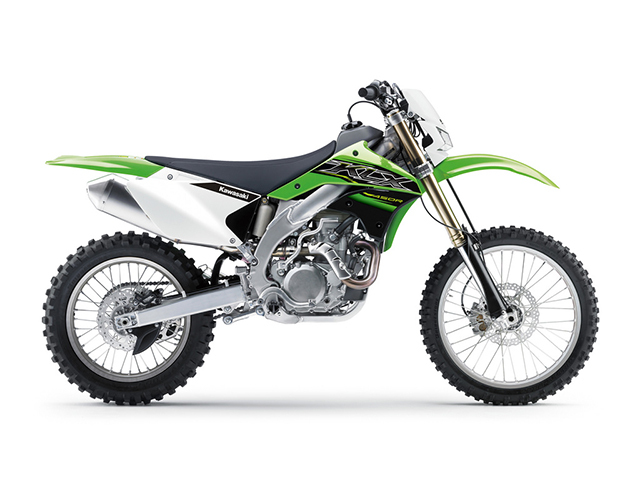 The 2019 KLX450R is Kawasaki's capable big-bore 4 stroke off-road Enduro model. 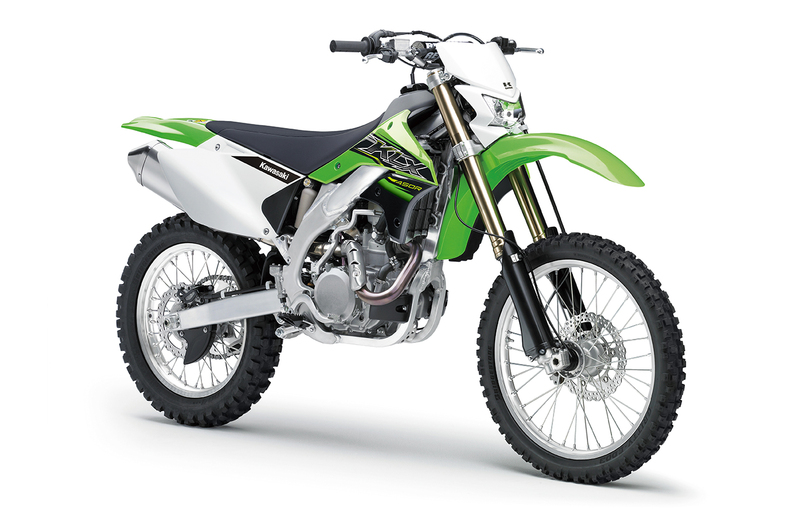 The easy to handle, rider friendly, road registerable, learner legal, trail explorer, enduro racing KX derived motorcycle that has stump-pulling low down torque. Electric start and performance components combine to deliver a fast and usable total package built for the off-road. 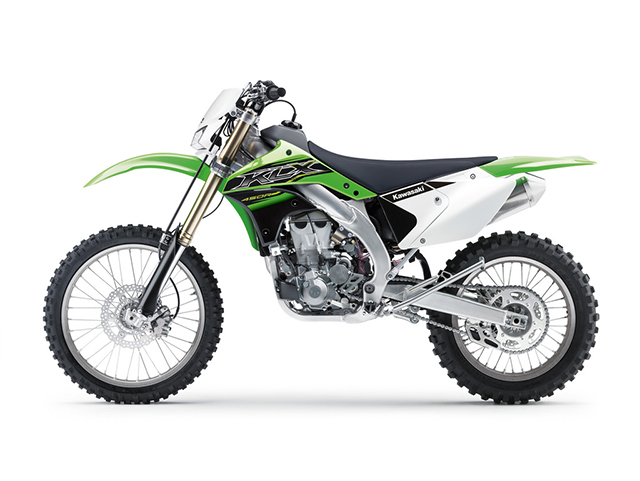 The 2019 KLX450R is now even better value for money. Talk to your local Kawasaki Dealership to find out more! 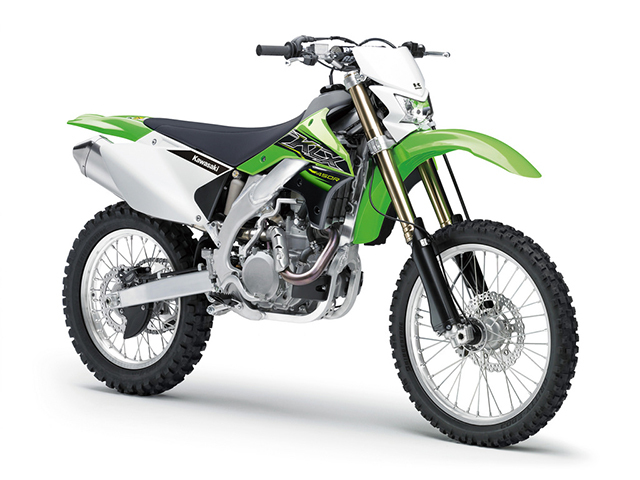 The KLX450R's gear ratios have been selected to specifically suit off-road competition. The engine is tuned for a broad delivery of power to optimize the gear ratios. The gear sets and center cases are very compact allowing the frame to be narrower at the rider's ankles. Great, grippy footpegs are standard and ready to race. Kayaba twin chamber forks take care of the big hits up front while Kawasaki's legendary Uni-Trak rear suspension gets the power to the ground. Fully adjustable damping at both ends provides easy tuning and setup. The high-performance race-spec KYB AOSS 48mm inverted front fork and superb rear suspension have been tuned for off-road competition and to minimise rider fatigue over long distances. Petal brake discs front and rear reduce unsprung weight, and help clean the brake pads for more efficient braking. The forged aluminium rear brake pedal has a heavy duty mounting bolt and a large "foot" with sharp teeth to provide a solid feel. 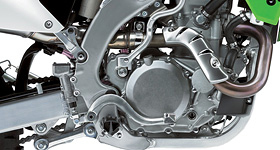 An integrated rear brake fluid reservoir provides increased reliability. Fully equipped for off road competition the KLX450R instrument panel lets the rider see what the bike is doing....right now.This lightweight digital instrumentation includes a speedometer, twin tripmeters, odometer and clock. Also fitted with a full completment of warning lights (not shown). Suspension - rear New Uni-Trak with gas-charged shock absorber which features adjustable spring preload, 22-way rebound and 22-way (low speed) compression damping and 2 turns or more of high speed compression adjustment. Brakes - front 250 mm semi-floating petal disc with dual piston calliper. Brakes - rear 240 mm petal disc with single piston calliper.